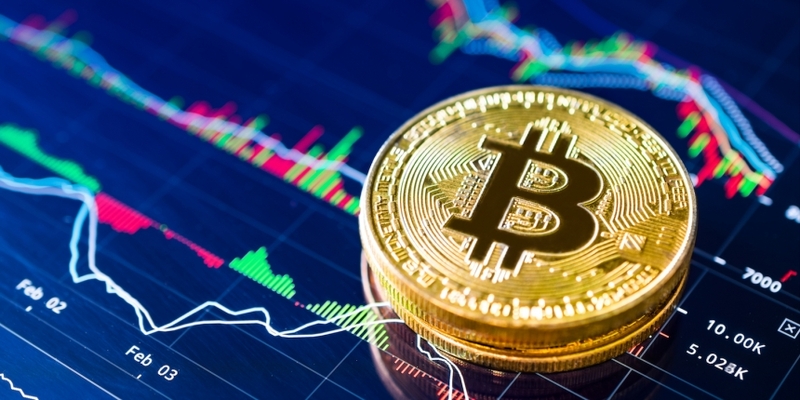 Bitcoin is still looking south, having hit four-month lows today, but the bearish momentum may wane due to short-term oversold conditions, the technical charts indicate. More bears joined the party in the U.S. session Tuesday after the cryptocurrency failed to cross twin resistance at $6,859 (50-hour moving average (MA) and 23.6 percent Fibonacci retracement). As a result, the price fell to $6,370 on Bitfinex today, the lowest level since Feb. 6. At press time, bitcoin was slightly higher at $6,453. The drop to the four-month low has bolstered the already bearish technical setup and raised the odds of a sell-off to $6,000 (February low). However, the bears may take a breather over the next day or two, as the relative strength index (RSI) is hovering at the key bullish reversal zone, and bitcoin could hold around support at $6,400 or possibly see a minor corrective rally. Currently, the RSI is holding below 30.00. Historical data shows BTC stages a “V”-shaped recovery every time the RSI drops to or below 30.00. However, things may pan out differently this time, as long-term technical charts are biased to the bears. The downside break of the pennant (bearish continuation pattern) indicates scope for a drop below the February low of $6,000. Further, on the weekly chart, the RSI fell below key support of 53.00 in February, signaling a long-term bullish-to-bearish trend change and is currently hovering below 50.00 (still in bearish territory). Clearly, the bears now have more say in determining the BTC/USD exchange rate. So, while the cryptocurrency may make a brief rally, courtesy of the oversold conditions, a major recovery will likely remain elusive. Longer term, BTC is still eyeing a drop to $6,000 amid a generally bearish market. In the next 48 hours, bearish momentum may weaken and prices could revisit the 5-day MA, currently located at $6,800. The probability of a major “V-shaped” recovery is low. Only a daily close above 10-day MA, currently seen at $7,214, would signal bearish invalidation.